As we enter the month of July, I again want to spread the word about an important resource to ensure that no child goes hungry this summer. Free summer meals for kids and teens 18 years of age and under are available at sites across Connecticut. End Hunger Connecticut has created an interactive map that shows every location in the state where free summer meals are offered. I invite residents to visit the map to locate the nearest End Hunger site near you. On Thursday, I participated in a conference call with Commissioner Katie Wade of the CT Insurance Department who provided an overview on the recent news regarding HealthyCT. In an effort to protect policy holders, the CT Insurance Department (CID) placed an ‘order of supervision’ on HealthyCT requiring almost 40,000 individuals to select a new plan during open enrollment later this year. Open enrollment runs November 1 through December 31, 2016 for individuals covered on their own as opposed to those receiving coverage by HealthyCT through their employer. These employers will have to find a new carrier for the August 1 enrollment unless they renewed on July 1, 2016 at which point they would remain covered through June 30, 2017. It's important to note that with 13 other co-ops around the country having failed, Commissioner Wade and the CID have monitored HealthyCT on a monthly basis to ensure its solvency and the appropriate management of its vendor relationships. With the new federal requirement regarding risk adjustments, a $13.4 million payment from HealthyCT is to be made in August 2016. While under the order of supervision, HealthyCT will not be permitted to write any new business, but will continue to pay providers for claims and cover those under their plans through their respective expiration dates. For more information visit the FAQs on HealthyCT Order of Supervision. On Wednesday, in light of the recently announced reductions (holdbacks) where many programs and people were impacted, the Two-Generational Policy Workgroup convened a meeting with the 6 sites (Greater Hartford, Meriden, New Haven, Colchester, Bridgeport & Norwalk) identified in our 2Generation Workforce/School Readiness & Success Initiative to discuss the best way in which to move forward. At a time when many other programs are being dramatically cut and/or eliminated completely, providing funding in FY17 indicates a willingness on behalf of the Governor’s office to work with the initiatives as we shift gears, continuing to build upon the great work completed over the last year. Fellow co-chair, Senator Marilyn Moore (D-Bridgeport) and I are confident that the intent of the Two-Gen program remains intact and viable and after discussing options for redesigns moving forward we are optimistic that our end product will be better and stronger than originally anticipated. We may face new challenges with a limited budget, but we are confident that these challenges will instead be new opportunities for strengthening CT’s Two-Gen framework to make a real difference for our low-income children and families. One other change to note is the consolidation of commissions within the legislative branch. 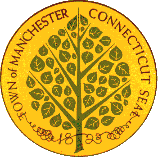 Prior to July 1, the Administrator for the 2Gen Initiative was the CT Commission on Children. They have been rolled into a new and improved commission with Women and Seniors, aptly named CT Commission on Women, Children and Seniors. This week, I also joined fellow state and federal legislators and staff at a tour of Fresenius Kidney Care Dialysis Center located in East Hartford. Fresenius Medical Care North America (FMCNA) is the largest dialysis provider in the United States. Christopher Meyer, Clinical Director of the East Hartford Fresenius Kidney Dialysis facility, discusses equipment for those self administering dialysis at home. FMCNA currently provides care to over 160,900 individuals with kidney failure nationwide in over 2,200 facilities in 46 states, DC and Puerto Rico, with more than 50,500 employees. This is nearly 40% of all Americans with kidney disease. In Connecticut, FMCNA provides dialysis to over 900 individuals in 16 facilities and employs nearly 300 people. 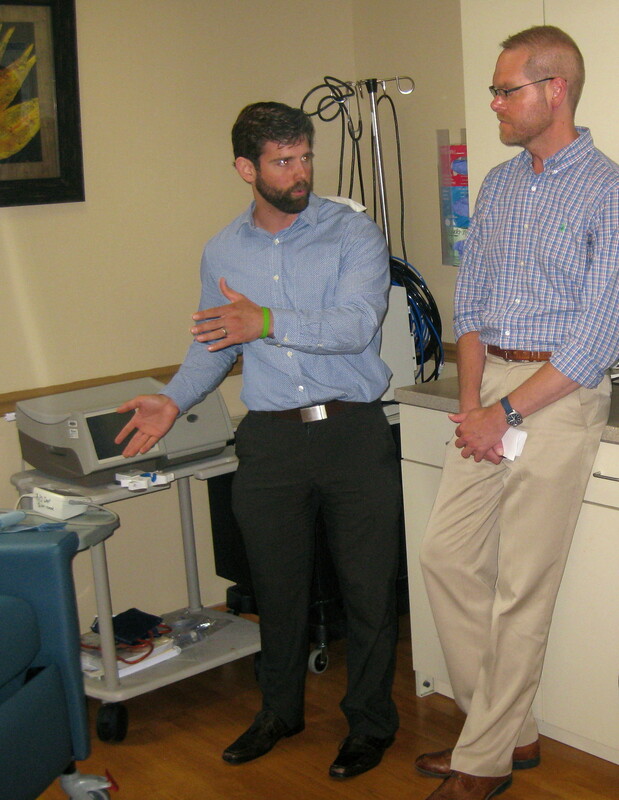 In East Hartford’s facility, FMCNA cares for 110 patients with 30 qualified staff. For more information on FMCNA, you can visit their site at www.fmcna.com. The Sounds of Summer Concert continues this Thursday on July 14 at Great River Park at 6 p.m. The Ball in the House will be playing R&B, Soul and Pop A capella music. The show will be held rain or shine and there will be a food vendor on site. 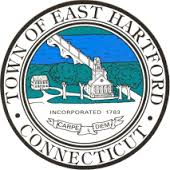 For more information, visit the parks and recreation website at www.easthartfordct.gov or call 860-291-7160. 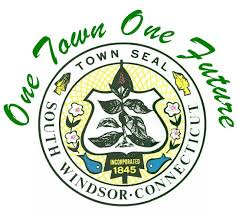 For a complete list of upcoming town events, click here. This Saturday, the town will hold a free electronics recycling drop-off event at Town Hall rear parking lot located at 1540 Sullivan Avenue from 8 to 1 p.m. Residents are invited to bring old cell phones, VCR's, DVD players and other items to the drop-off. Click here for a complete list of electronic devices you can bring! On Saturday, July 9, St. Mary’s Episcopal Church at 41 Park St. Manchester is holding their annual book and bake sale from 8 to 1 p.m. Come and browse through scores of books on sale at bargain prices ($.25 for paperbacks/children's books and $.50 for most hard covers) and satisfy your “sweet tooth” with the purchase of delicious baked goods. Admission is free, but donations of non-perishable food items, toiletries, cleaning supplies or paper goods for the MACC pantry are greatly appreciated. For more info, please call St. Mary’s at (860) 649-4583 or visit www.stmarysct.org. The National Register of Historic Places designation will help preserve the city's mix of historical architectural styles and open up more opportunities for property owners to have access to historical tax credits. The historic preservation designation brings economic benefits to property owners, including eligibility for federal and state tax incentives. To read more about the register's preservation efforts, click here. According to an agency overtime report released today by the Office Of Fiscal Analysis, five agencies account for over 90% of General Fund overtime expenditures in both fiscal years: Department of Correction (DOC), Department of Mental Health and Addiction Services (DMHAS), Department of Developmental Services (DDS), Department of Children and Families (DCF), and Department of Emergency Services and Public Protection (DESPP). Additionally, through the eleventh month of FY 16, the state has expended approximately $204.7 million in General Fund overtime payments, down approximately $32.9 million (13.9%) from overtime expenditures of $237.6 million through the eleventh month of FY 15. Farmington’s Jackson Laboratory has received a five-year, $3.3 million federal grant to study chronic fatigue syndrome, which afflicts as many as one million Americans. The results will be used to develop better diagnostic tools and personal treatments for a disease that has stymied researchers, according to National Institutes of Health Director Francis Collin. Pratt & Whitney, the East Hartford subsidiary of United Technologies Corp., has received a $1 billion Air Force contract to design and test next-generation military fighter engines. The new agreement will help improve national security, Connecticut's manufacturing sector, and the state's economy. Many state leaders including Senators Chris Murphy and Richard Blumenthal called it the contract a "boon for national security, Connecticut's manufacturing workers and the state's economy." To read the Hartford Courant article about the contract, click here. Thanks to the budget adjustment we passed earlier this year, community hospitals across the state have received approximately $150 million in funding owed since March. The so-called supplemental payments represent the portion of the provider tax that the state returns to its acute-care hospitals. For years transit advocates have campaigned for a north-south commuter line in Connecticut. Now, that project is only 18 months away from opening. The new rail line will reduce I-91 traffic and air pollution, and open the Fairfield County job market to central Connecticut. More than 50 percent of the track upgrades are done and 80 percent of the new stations are in place. Communities all along the path are already planning on development that will generate more jobs and new homes for Connecticut residents. Office of Policy and Management: State Bond Commission Meeting, LOB 1E, 10:30 a.m.
State Innovation Model Consumer Advisory Board Meeting, LOB 1B, 1 p.m.
DPH: Naturopathy Committee Meeting, LOB 1D, 9 p.m.
Rep. Currey:CHRO Monthly Commission Meeting, LOB 1A, 2 p.m.
Rep. Hewett: Access Health CT Board of Directors Special Meeting, LOB 1D, 11:30 a.m.
Rep. Haddad: Open Source Task Force, LOB 1C, 1 p.m.
To view next week's full CGA schedule, click here.